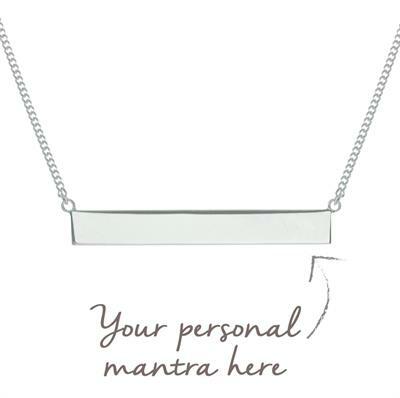 This 925 Sterling Silver bar hangs from an 45cm chain, designed to hang close to your heart. With the iconic lotus design engraved on one side, choose your mantra to be engraved on the other, creating a truly unique pendant made just for you. If you are buying this for a gift and are not completely sure of your engraving we can send you a blank necklace which can be engraved at a later date. We can create your card including the mantra you think they'd love, leaving the final decision down to the recipient.